I’m so pumped I got to attend a Mercedes-Benz Fashion Week show for the first time ever!!! I also was allowed backstage where I observed the sights and got to witness first-hand the preparations that go into setting up for a show of this magnitude. 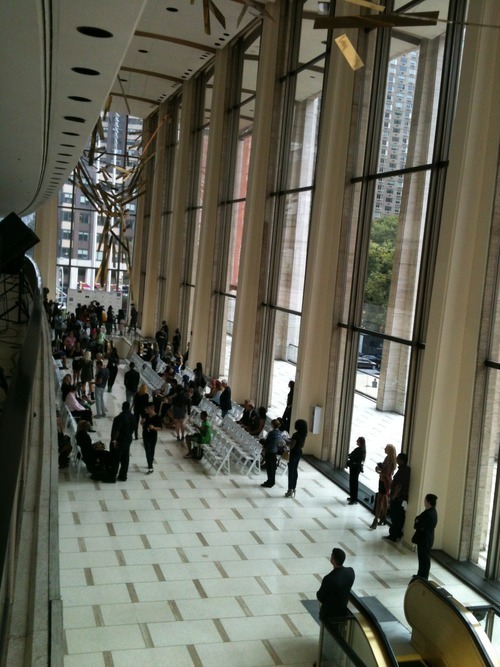 I was invited to attend the Nina Skarra show in Lincoln Center’s Avery Fisher Hall this past Saturday. The collection was simple, well-cut, beautiful and perfectly backed by the clean slate of the stark white and glass-walled hall. I plan to post a piece soon detailing my experience but in the meantime wanted to share several pictures. 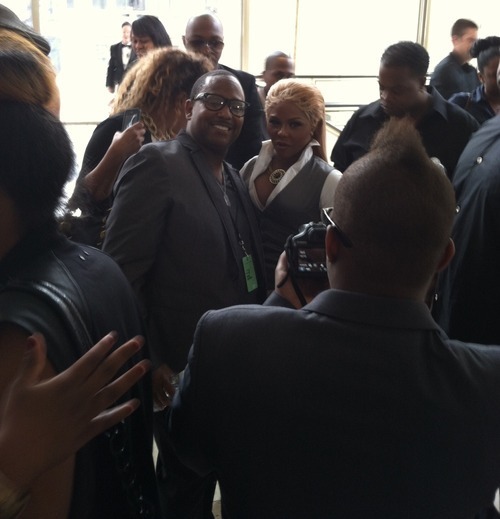 My brother Mezei and Lil’ Kim posing before the show; you can also see the mohawked back of my other brother Asa’s head taking a picture of this scene.